Kohler have long been a benchmark for innovation, reliability and elegance in the world of toilet manufacturing. Their Wellworth line has not disappointed yet- efficient, effective and elegant, guaranteed to complement any bathroom it is installed in. 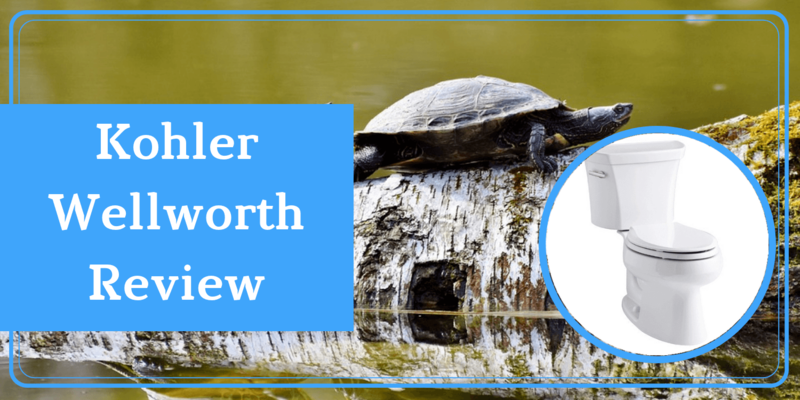 In this article, we’re discussing the Kohler K-3978-0 Wellworth toilet unit. We’re talking design, water efficiency, installation and anything else that might affect your decision. Basically, if you’re looking to buy a toilet, you might wanna stick around for this. Kohler kept it simple for the K-3978-0 Wellworth unit, but you know what they say: simplicity is the ultimate sophistication. 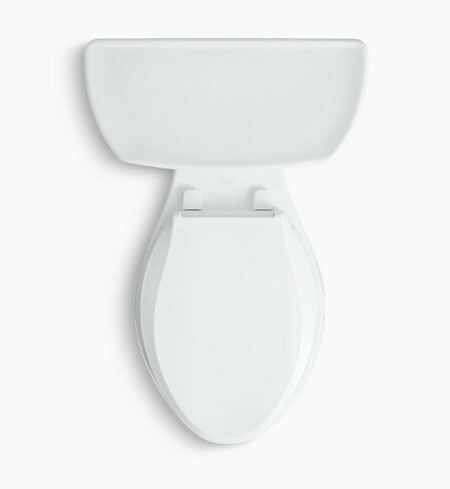 Standard-height, elongated bowl for maximum comfort and a crisp, clean white finish with a silver flush level on the left. It’s unfortunate that there isn’t a wider variety of colours to choose from, but ultimately, you can’t wrong with good, old white. The quality is generally pretty high as well, but that’s not really exclusive to this product and more to do with Kohler, who’ve always promised and delivered quality. 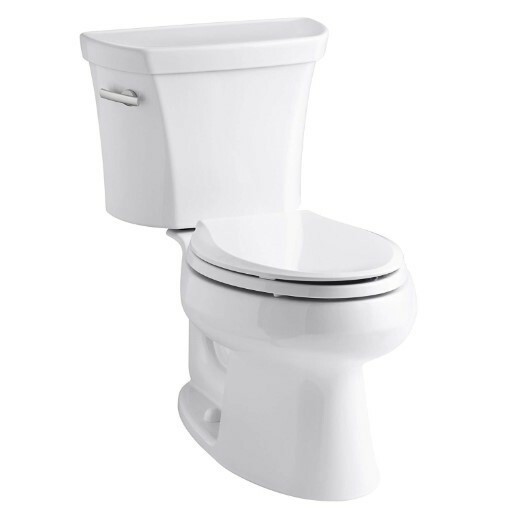 The Kohler K-3978-0 Wellworth uses 1.6 gallons of water per flush, which is somewhat higher than some of its counterparts in the market. This is not ideal as more water translates into a higher water bill (duh), and is also not very eco-friendly. 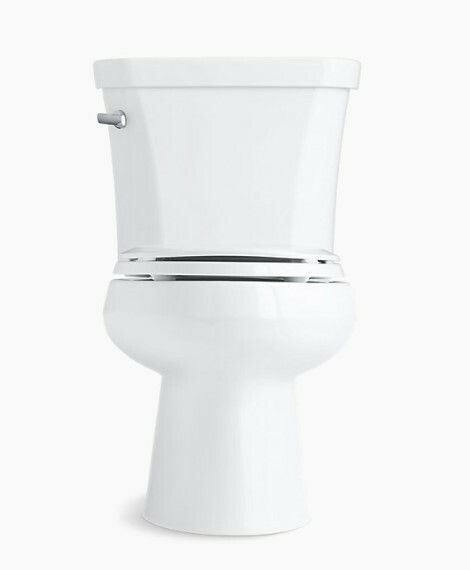 But the good thing is that it pretty much guarantees that one flush is all you’ll need to completely get rid of any waste, unlike some other models which use less water per flush. Some might see the higher water per flush as a disadvantage (and it kind of is), but like we mentioned, it means that one flush can take care of...um, your business. Some of the other toilets that use less water per flush actually require a couple of flushes to complete the deed, so in some ways, this toilet might actually be more environmentally-sound. This is especially true in this model, as it utilises Gravity Flush technology, which is effective at getting rid of waste. One more advantage is that the flush tank fills up pretty rapidly, which can be nice if there’s more than one person in the house. When it comes to cleaning, the Kohler K-3978-0 Wellworth is no different than any other unit. Just use a regular toilet cleaner (or use those cleaning pods) to clean any stains you might encounter, although these units don’t tend to stain easily, so cleaning them really should be a breeze. Just make sure you avoid bleach, which can corrode parts and cause you more heartache. This advice applies to all toilets by the way, not just this one. One big tick in the Pro column is how easy it is to install this unit. It uses 12-inch rough-ins, which are a lot more common than 10-inch or 14-inch rough-ins. Any experienced plumber should face absolutely no problem installing this baby in your bathroom. Even less experienced handymen shouldn’t face too much trouble following the instructions in the packaging and getting the unit working properly. The price of the Kohler K-3978-0 is one of the biggest incentives to buy the unit. For the quality and the elegance you’re receiving, the unit is very competitively priced, comfortably lower than many of its competitors. This makes the unit a viable option for anyone on a budget. One more thing to mention is that the unit comes with a 1-year warranty, so on the off-chance you receive a product that is faulty, you are guaranteed a fix or a replacement. 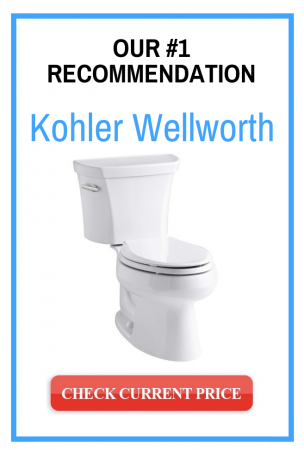 The Kohler K-3978-0 Wellworth is one of the best toilet units you can find within that price range. Durable, stylish and reliable- what more can you need from a toilet? The water consumption is somewhat annoying, but we already mentioned that this could be seen as a positive because, coupled with the flushing technology, the relatively high volume of water is capable of getting rid of waste EASILY. For the price, you can’t go wrong with the Kohler K-3978-0 Wellworth.